Home > General > General > Madagascar CELESTINE: what I saw and learned at the Denver Show. Madagascar CELESTINE: what I saw and learned at the Denver Show. 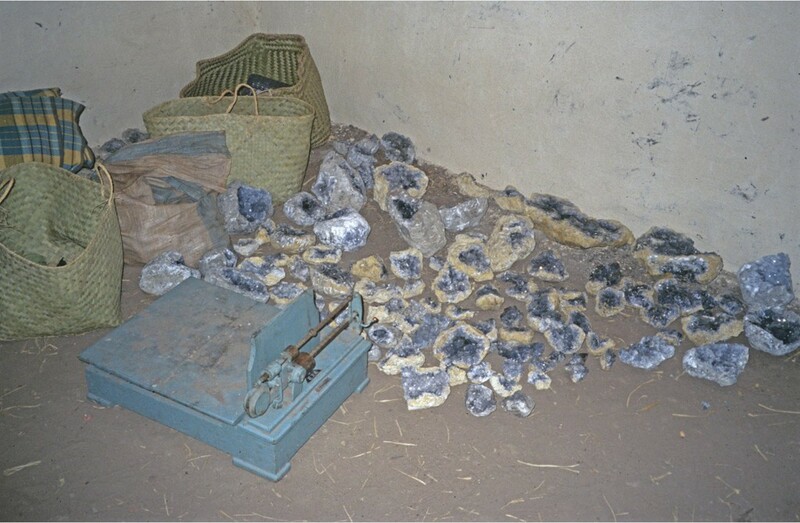 Nearly 15 years ago, at the 2003 Tucson show, a dealer approached me stating that he had a very large and hi end celestine geode from Madagascar that he would like to sell. He did not wish to carry it home. I bought it for $600. The 2 pix show it. It weighs 48 lbs and has the blocky crystals variety including a 9 cm x 2 cm doubly terminated crystal with an adjacent perpendicular 4 cm crystal, all seen in the pix. Large doubly terminated crystals are very unusual in celestines from this location. Since that purchase, I have become interested in these examples and purchased several others, including 2 at this year's Denver Show. Jump ahead to this year's Denver Show. I looked for and saw many celestine examples but, surprisingly, very few hi quality intact geode examples. So what is going on? As most of us know these examples are mined largely by hand from pits dug in tidal flats sands in a remote area of coastal Madagascar. They have been mined since about 1967. There are a couple of crystal types known and all this has been covered, relatively recently, in the MR. 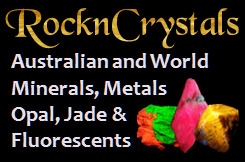 Recently, it seems, many of the hi end examples have had the best crystal areas culled out from the geodes. I saw a number of non geode specimens with hi quality crystals. Smaller examples were selling for $500 - $2500 depending on their size and quality. 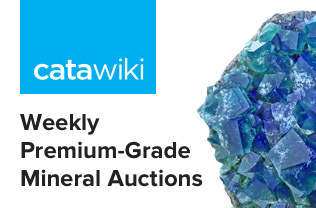 Larger culled examples with larger hi quality crystals sold for about $2000 to an astounding $35,000 (!) for one example. Did anyone else see that one at the show?? The remainder of these broken up geodes were very common in middlin and lower end dealer's flats, selling for $25 - $100 depending on the usual specimen parameters. There were also many unbroken up geodes, but they were almost entirely seconds with no really dominant crystals or eye catching aesthetics. Depending on size, these were selling for about $250 - $800. There was a very wide price range for similar examples. You certainly have some nice geodes there. Yes agree and thank you for showing them here.